The Dell Exchange: Trade in old Dell computers for Gift Cards! 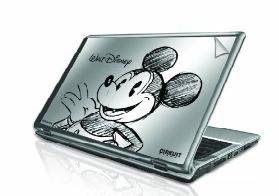 Trade, dispose properly, or get any discount credit towards a new purchase with the Dell Exchange. Did you know that Dell accepts trade-ins for gift cards towards new purchases? The Dell Exchange is a way to dispose of your old electronics equipment. First visit www.dell.com/tradein to fill in information on the product such as its condition, specifications and model and you will receive an instant quote. After accepting the quote, you print out a free shipping label and send in your items by dropping off at any UPS location or calling UPS to arrange for pickup. Your gift card should arrive 2 to 3 weeks after receipt at the trade in center. Dell also offers free recycling. To dispose of your system properly, please visit www.dell.com/recycling. Detroit Main Public Library at 5201 Woodward Avenue. Parking available in employee lot. Detroit Public Library’s Comerica Java & Jazz: A Coffee House Series, celebrates its 10th season with Yancyy. Yancyy, as he is commonly called, has entertained audiences across every genre. His musical style and unprecedented capacity to relate to diverse audiences takes him from jazz to gospel from pop to rock and even hip-hop too. Yancyy’s energetic demeanor is the explosive boost the music industry so badly needs. Have you been to the Visit Detroit website? Do you think the website is only for people visiting Detroit? Well you may change your mind when I tell you that the site contains a large amount of Detroit area restaurant and attraction coupons that are good till 12/31/2010. - BOGO FREE Admission at Cranbrook Art Museum or Cranbrook Institute of Science or Cranbrook House and Gardens. 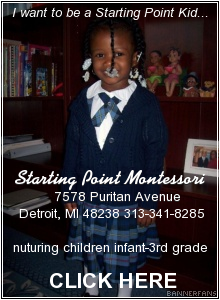 Come on and be a visitor in your own city of Detroit. In this post, Coupon Mom tackles the “Big Beauty Challenge.” A mom of two teen daughters is stuck spending over $200 per month on hair and beauty products! Coupon Mom shows her how to work the system and get it done for under $50! Do you enjoy the music in the Lincoln car commercials? I love the "Under the Milky Way" song by Sia and I remember it was even playing in the Lincoln exhibit when I visited the North American International Autoshow. 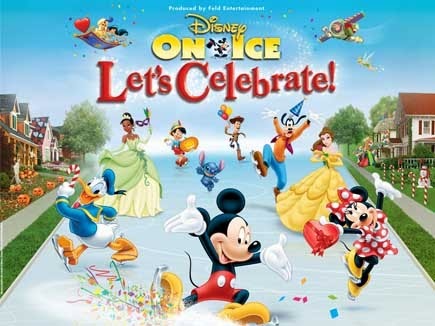 REVIEW: Disney On Ice "Let's Celebrate" is a Wonderul Celebration! Tonight my son and I went to see "Disney on Ice Let's Celebrate!" at the Palace of Auburn Hills. Our tickets were given to us courtesy of Disney On Ice. We had just seen the "Disney On Ice 100 Years of Magic" show back in September, so I was a little afraid that tonight's show might be a revamped version of the 100 Years of Magic show. But, I need not have worried because this show was unlike any Disney ice show I have seen to date and it was wonderful! The show is narrated by Mickey and Minnie Mouse who introduce Disney characters old and new as they celebrate holidays and travel. I totally fell in love with Mickey as Fantasia with the dancing, skating broomsticks - that brought home a lot of childhood memories. My son's favorite part was the dance of the Disney villains with Captain Hook from Peter Pan, Cruella de Vil from 101 Dalmatians, and Jack Skellington from The Nightmare Before Christmas - it was an evilly cool celebration of Halloween with giant cobwebs, cemeteries and all. Little girls will not be disappointed since all the Disney princesses are on stage - including the newest Princess Tiana - helping Minnie to understand true love in time for Valentine's day. Mickey and Minnie even take a tropical vacation where they find Lilo and Stitch of course and other island wonders. I loved Mickey and Minnie on their Asian vacation - it was beautiful, especially Minnie in full kimono. Mickey and Minnie even bring their vacation celebration to New Orleans with all the characters from "The Princess and the Frog". But, I should not tell you anymore because I don't want to ruin it for you. All I can say is my son jumped up during the show and told me I was the best mom in the world for bringing him to the show. Enough said. All photos taken by my 9 year old son! Thanks to my Twitter pal Kaylee Hawkins, here is one of those freebies that make you slap yourself: a $10 Gift Certificate to Bahama Breeze. 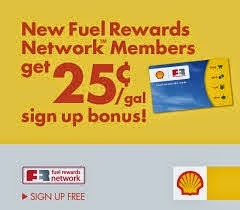 I don't know when this will expire so get yours today. I already signed up for mine. Do you remember Rainbow Brite from your childhood? Well Rainbow Brite is back for a new generation of kids. Follow guest blogger Valerie Gill as her daughters try out the Rainbow Brite CD Pak. My two daughters were asked by FREEISMYLIFE to test drive a new Rainbow Brite CD Pak. The CD pack was provided to me for free by MomSelect and Hallmark. I remembered Rainbow Brite from when I was a child so I was anxious to see how my girls would like it. It was an exciting opportunity for all of us since also I like to review games. My girls, Lydia and Leah are ages 8 and 6 respectively. Although they are separated by only 19 months, both girls have varied interests. Lydia likes anything that makes her feel grown up – while Leah embraces her "youthfulness"! Needless to say, I didn't know if the CD would be interesting to them both. I had no worries, however. Both girls loved the CD! Once we got the CD loaded, Leah started with the games. Match games are some of her favorites and it was really cool how the game got progressively more difficult as she got better. Leah loves a challenge and gets quickly bored if she masters a game quickly and it doesn't get harder. Next was Lydia's turn. 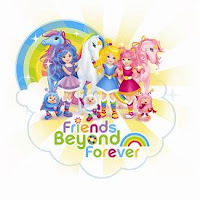 She zeroed in on the story aspect – learning all about each of the Rainbow Brite characters in the videos. One of Lydia's new favorite things is to create books to share with her friends. She loved the coloring pages and thought the characters were cool. So she created 3 "coloring books", by printing out the pages and one color front page. A click with the stapler and she had books to share with her best friends at school. When I asked them their favorite thing about the CD, they both mentioned how much they love the Theme song. They wrote down the words and created a little dance to go with it. We've had the CD for about 2 weeks and the girls return to it time and time again. We can't wait to get the doll collections at Target. I say, we, because I'm looking forward to getting a Rainbow Brite doll of my own!! 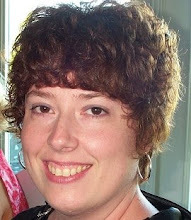 Valerie Gill is a software professional, wife, mother of 2 and certified "little girl at heart" who lives in suburbs of Detroit. Formed in 2002, the Soweto Gospel Choir’s first album, Voices of Heaven, reached the No. 1 spot on Billboard’s World Music Chart within three weeks of its release in the United States. Since then, the Choir has received multiple awards internationally, including two Grammy Awards in the category of “Best Traditional World Music Album” for their CDs Blessed and African Spirit. They have toured the world and appeared on The Today Show, Good Morning America, Late Night with Conan O’Brien and The Tonight Show with Jay Leno. As Ambassadors for Nelson Mandela’s 46664 campaign, the Choir has performed at concerts in Cape Town, Johannesburg, London and New York with artists such as Peter Gabriel, Bono, Queen, Jimmy Cliff, Johnny Clegg, Amy Winehouse, Aretha Franklin, Wyclef Jean, Queen Latifah and Stevie Wonder, among others. Soweto Gospel Choir received its third Grammy nomination in 2008 for their album Live at the Nelson Mandela Theatre. In 2009, the choir became the first South African artists to perform at the Academy Awards when, with John Legend, they sang “Down To Earth,” the Grammy-winning song by Peter Gabriel and Thomas Newman for the film Wall-E. Soweto Gospel Choir has founded its own AIDS orphans foundation, Nkosi’s Haven Vukani, to assist organizations that receive little or no funding. To date, the choir has collected over four million dollars for their foundation. Tickets for Soweto Gospel Choir on Mar. 1 range in price from $22 to $73 with a limited number of box seats available for $108. Tickets may be purchased and/or reserved at the DSO Box Office (3711 Woodward Ave., Detroit), by calling the DSO at (313) 576-5111 or by visiting http://www.detroitsymphony.com/. Mon., Mar.1 at 8 p.m. The DSO is graciously giving FREEISMYLIFE readers the change to win one of two pairs of tickets to this one night performance of the Soweto Gospel Choir on Monday, March 1st. Fill out the information in the form below.- One entry per person please. - The contest ends this Thursday, February 25th, 2010 at 11:59pm EST. 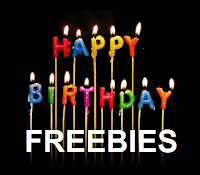 - The 2 winners will be selected by random number generation. Each winner will receive two tickets. - Winners will be contacted by email on Friday, February 26, 2010. If a winner does not respond within 12 hours of the email being sent, another winner will be chosen. - The tickets will be held for the winners at the DSO Will Call office. 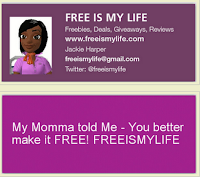 - You can get 1 extra contest entry for following FREEISMYLIFE on Twitter. - You can get 1 extra contest entry for subscribing to the FREEISMYLIFE daily updates. The Winners are: Kenyatta M. and Laura T. Enjoy the show! In this new episode, Coupon Mom helps a woman cater her own event for only $2 per person vs. $50 quoted from a cater! Living in the city of Detroit gives me access to all types of wonderful events. Last night, I had the opportunity to attend the Detroit Symphony Orchestra (DSO) and hear one of the DTE Energy Foundation Pop Series sponsored concerts, this one being a tribute to the music of Brian Wilson and The Beach Boys. My tickets were provided to FREEISMYLIFE courtesy of the DSO. I have attended the Pop Series before, but there was something different about this one. I think the inclusion of the London, Ontario group Jeans ‘n Classics made it extra-special for me. Their pianist, Mr. John Regan, did a wonderful job as a musician and as our host for the evening. His stage presence could be felt and he easily worked his way through the evening with witty banter and informative tidbits about the next song in the line-up. There were five primary singers for the evening, each taking turns during the seventeen song performance. Lead vocals for the men were Mr. Neil Donell and Mr. Aaron MacDonald and for the women Ms. Katalin Kiss, Ms. Kathryn Rose, and Ms. Leah Salomaa. I was surprised that the women were going to sing some of the songs, but they did a fantastic job (and their costumes were adorable!). They did most of the backup vocals, took a primary role on one song each, and implemented some unique harmonization, which was front and center during their rendition of “Sloop John B”. I have to admit I have never really listened to The Beach Boys since the majority of their music was before my time, but I discovered a whole set of tunes during the performance that I’ll most likely purchase via iTunes. Another one of my favorite renditions of the evening was “Help Me, Rhonda”, primarily because of the enthusiasm of Mr. MacDonald. The man can sing and he also plays a killer saxophone! Also, I would be utterly remiss if I didn’t mention the amazing vocals of Mr. Donell. He had a range that you don’t hear every day and I swear that his version of “Good Vibrations” might have been a teeny, tiny bit better than the original! The conductor for the evening was Mr. Steven Reineke, who is the newly appointed Music Director of The New York Pops. He did a fine job leading the DSO, but I noticed a slight volume problem during the first half of the performance. There were a few times when the DSO played over the vocals, making it difficult to hear the words. I thought perhaps it was just me being picky, but I heard two other people in the audience around me comment on the same thing during intermission. I wonder if someone mentioned this to Mr. Reineke, because the issue was not apparent during the second half of the performance. I think it must be extremely hard to balance the sound of an orchestra and let the vocals come first, so overall it was a superior effort on the part of Mr. Reineke. My mother accompanied me to this performance and her enthusiasm for the music made me want to hush her, but I’m pretty sure no one around us minded since they were all bopping and clapping along too! Based on the reception of the audience and my own personal experience, if you ever get the chance to see Jeans ‘n Classics in person, please make sure that you do. You would be missing an opportunity of a lifetime to pass them up! And as always, the DSO was wonderful. I love that I live in a metro area where I have access to such unique cultural events. Detroit Rocks! Laura Terbrack is a wife, mother of two and a self-professed tech goddess. In addition to her busy job as an IT professional, Laura is a contributor to FREEISMYLIFE and just started her own blog called "Laura in the Motor City". Follow her on Twitter at @lterbrack. The Disney Social Media Moms Conference ended on Friday (2/12), but we had enough time on Saturday before our plane took off to go to either Animal Kingdom or Magic Kingdom. We chose Magic Kingdom since it was only a monorail stop away from our wonderful hotel, the Disney Polynesian. The Disney Polynesian Resort - Loved It! I have only stayed at a Disney value resort prior to this trip, so the Disney Polynesian Resort was a wonderful upgrade in travel accommodations. The hotel is beautiful with lush grounds, a stylish lobby and huge, luxurious rooms all done in a Polynesian theme. Continuing with the Polynesian theme, guests get leis upon check-in and kids are given hula lessons in the lobby. The hotel has 3 restaurants, 2 gift shops and is on the monorail stop for fast, weather friendly transportation to all the Disney parks. The customer service at the Polynesian was great. My son lost his backpack at Epcot and when I called the hotel lobby, they explained the lost-and-found process to me and connected me directly to Epcot and my son had his backpack returned the next morning. The only thing that we did not get to check out at the Polynesian was the pool since it was bitter cold for the entire time we were in Florida. I have not been to the Magic Kingdom in years, but it still holds magic. We rode Space Mountain, Buzz Lightyear's Space Ranger Spin, Big Thunder Mountain Railroad, and my son's favorite, Stitch's Great Escape. We also were front and center for the Disney Main Street Parade. We were standing right in front of Mickey's float and were right behind Mickey when the conga line formed. We all were laughing and having a wonderful time. My favorite attraction was The Hall of Presidents. I was expecting a traditional wax museum, but I should have known better considering Disney's motto to "surprise and delight". The attraction is a full show of the history of the Presidents narrated by actor Morgan Freeman and all of the wax figures talk and move during the show. It was so life-like that it was amazing. A Special Gift for Me. I am not a t-shirt souvenir type of girl, but I wanted to buy myself something from Disney to help me remember this great trip. On our way out of the park, we shopped in a fine crystal shop on Main Street and I bought a hidden Mickey ring that was beautiful (and cheap). Beautiful jewelry is my kind of souvenir. The Disney Magical Express bus picked us up right on time from the Polynesian and we arrived in 40 minutes at the airport. When we checked in, we found that our plane was going to be delayed 40 minutes. So we had dinner at the Burger King in the airport and I was able to take out my netbook and get some work done since the airport has FREE Wi-fi. It was wonderful. I checked my email and did a blog post and before I knew it, it was time to board the plane. Sweet! Well, I have finally come to the end. They say that seven is the number signifying completeness, so I hope you have enjoyed this seven-part series on the Disney Social Media Moms Conference at Disney World because I had a ball writing it. So what did I learn from Mickey Mouse? Well I definitely learned that education does not happen just in a school classroom, that we all need to reinvent ourselves from time to time to keep up with the competition, and that we can learn, give back, and have fun all at the same time. Download Ne-Yo's FREE exclusive song "Heros" from the Macys website and help support the RESPECT! champaign. Day three of the Disney Social Media Moms Conference started with Girl Power! social media in the morning and continued just as strong in the afternoon with speaker Chris Brogan. Chris is the author of the New York Times best selling book "Trust Agent" which teaches readers how to use the web to build influence, improve reputation, and earn trust. We buy from people that we like. A simple but true statement. He probably could have stopped his speech after this point. Social Media is about Listening. -Social Media can be used to improve public relations and improve customer service. -Social Media can be used to help with product research and development. -Social Media can be used to increase marketing opportunities by listening to the needs of the customer. Social Media is about Connecting. - Chris said that 81% of his Twitter tweets are replies. We can put out information but the real value in Social Media is in connecting with our followers and building that trust relationship. - Chris said that we should treat our followers like gold. That relationship should be first before earning money and getting swag. Sponsors should be at the bottom of our priority list. - Great content is what keeps followers coming back for more. Chris said that bloggers should stop worrying about number of followers, page rankings, and other stats. Just be helpful and the rest will follow. A lot of bloggers are confused about how to handle the new FTC disclosure policy. Chris used his Disclosures and Relationship section from his blog's about page as a (funny and different) example of how to handle compliance. We ended the conference day with a few more jokes from mom comedian Maryellen Hooper. She was so funny while telling the ugly side of marriage and motherhood with true humor. Maryellen's blog is called Stinky Flowers, named from the smelly weeds that her son gave her to wear all day in her hair - aren't kids wonderful! Every mom in the audience could relate to her comedy. After the end of the conference, Disney treated the Social Media Moms and our families to one last "surprise and delight" evening. We were bused to Disney Hollywood Studios for a private dinner on one of the back studio movie lots. It was fabulous. We had a tasty dinner and again, the kids had a D.J. that rocked the house and everyone was dancing and having a great time. The Disney characters showed up for great photo opportunities and the real highlight of the evening was when Disney opened the "Toy Story Mania" ride just for us. I was a shooting maniac on that ride as I tried to beat my son's score and we rode it so many times that my hand was about to fall off - It was great! Wow! What a conference! I still cannot believe that I got an invitation to experience three days of excitement, great information, and Disney magic. I only have one more blog post left in the series. So if you want to find out about my last day at Disney going to the Magic Kingdom and about our hotel the Disney Polynesian, check out my last post in the series "What I learned from MICKEY MOUSE (PART 7)- One Last Mickey for the Road". REVIEW: What I learned from MICKEY MOUSE: Disney Social Media Moms Conference (PART 5): Girl Power! Day three of the Disney Social Media Moms Conference was full of guest speakers that gave us insight into how they use social media to build their businesses and brands. The morning was a total Girl Power Pow Wow with presentations from three great and totally different women. After a great breakfast, the first speaker was Maxine Clark, the president of Build-a-Bear. 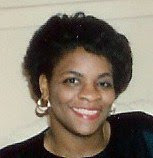 Maxine really came across as a wonderful, caring leader of a company that she cares about deeply. Here are a few highlights from her speech. Retailing is Entertainment. The Store is the Stage. Maxine said that she started her company after she could not find Beenie Babies while shopping and then realized she could make them herself. She talked about how retailing has gotten away from being a treat for customers. I agree with her. I remember shopping as a child and getting dressed up because it was considered a treat to go shopping in Detroit at J.L. Hudsons department store. Maxine stated that her mentor Stanley Goodman used to say "When the customer has fun, they spend more money" and out of that concept Build-a-Bear was created. Dream Big and Believe in the Dream. When you start your venture, you have to believe in it otherwise there is no point to doing the work. My favorite quote from Maxine's speech was "1+1=10" which means that the shopping experience should be a win/win experience for both the customer and the company. Her store employees are empowered to do what it takes to make the customer happy. Maxine stated that Build-a-Bear just had their first Twitter Party with 300 moms. Maxine answers her own tweets at @ChiefExecBear and online at Maxine@buildabear.com so she has personal relationships with her customers. She also likes to use her Facebook account (www.facebook.com/maxineclarkceb) to keep in touch with customers. Build-a-Bear also has a grant process that they use to give back to the community. They grant money to individuals with ideas to help children. The Build-a-Bear motto is that they are a company with a heart. The next speaker was Marissa Jaret Winkour, the Tony award winning Broadway actress from Hairspray and TV star. I remember Marissa from when she was on Dancing with the Stars where she started out shy and ended up gaining tons of confidence and coming in at 4th place. Marissa was funny, very funny, but also very frank about her life as a "curvy" actress in a skinny industry. Marissa has used social media to help her land all kinds of jobs. She has live blogged events and she loves her Facebook account where she holds nothing back from her fans. Her motto is that we should all help each other and being honest about your problems can help others with theirs. The next speaker was Kathy Ireland, former model and owner of the self named 1.5 billion dollar lifestyle company. Like Marissa, Kathy was also very honest about the challenges she has had with her company going bankrupt years ago and coming back from that period to become successful. She talked about the challenges of moms with work life balance. She stressed that we all should know our strengths and surround ourselves with people who can help out since we cannot do it all by ourselves. Kathy also talked about how we should teach our kids that their cyber footprint never goes away so they should be very careful about what they put out into social media world since it can influence them getting a job. She said that she involves her kids in her company and makes a date with each child to spend quality time with them. Kathy said that she believes that woman can have it all, but not all at one time. Besides the speakers, the highlight of the morning was the drawing for, get this, a night in the suite in the Cinderella Castle - the ultimate in exclusive Disney VIP treatment. For this event, Cinderella and Prince Charming made an appearance to draw the winning entry. 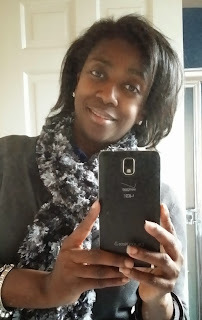 The winner was the mom from Double Duty Divas blog. Click here to read about her family's Cinderella Suite experience. I am winding down to the end, so if you want to find out the rest of the speakers and events of day three, check out my next post in the series "What I learned from MICKEY MOUSE (PART 6) - Laughs and a Movie". Located next to the Fox Theatre, Hockeytown Cafe offers the perfect setting before, during and after any event in the downtown area. Hockeytown Cafe features custom motorcycles themed after the Detroit Red Wings and Detroit Tigers along with several other classic bikes on display. Get a $25 Gift Certificate for $12.50 wihile supplies last. This new episode finds the Coupon Mom stocking the home-office of a work at home mom for under $100! On January 1st of this year, Disney began the Give a Day, Get a Disney Day Campaign that allows families and individuals to volunteer a day of service at participating charities and in return, get a free day at a Disney park. To date, the campaign has attracted over 600,000 volunteers and will top off at 1 million free Disney Park tickets being given away. After the Disney Social Media Moms attended the Guy Kawasaki presentation, we attended a Disney Press Conference for their Give a Day, Get a Disney Day program. 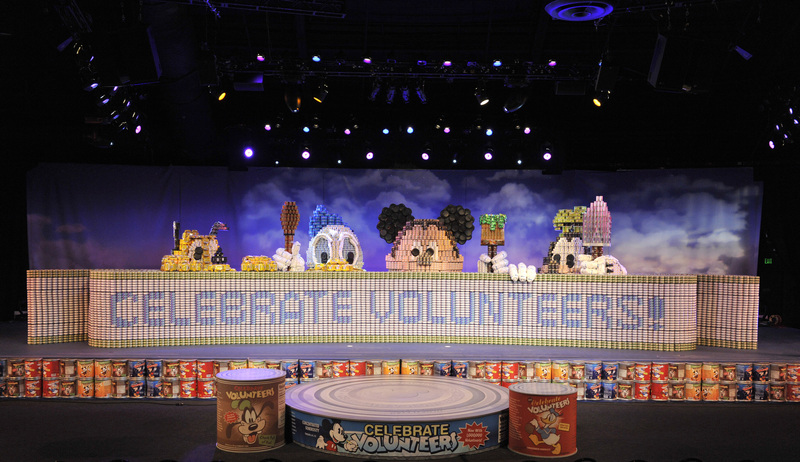 To celebrate the program, Disney constructed the largest sculpture in the world made from, get this, canned goods. Yes, I said canned goods and the sculpture was certified as the largest by the Guinness Book of World Records. Sweet! Disney flew in one volunteer family from each of the 50 states to attend the sculpture unveiling at Epcot. The press conference was packed and we were all waiting in anticipation to see what this sculpture would look like. Given Disney's motto to "surprise and delight", I figured that the whole press conference would be pretty spectacular. And I was right. Kermit the Frog came on stage first which should have been expected since the Muppets are the spoke characters for the Give a Day, Get a Disney Day program. 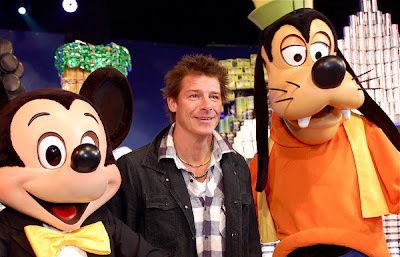 But nothing prepared the moms for seeing Ty Pennington from Extreme Makeover Home Edition. The whole audience started applauding after we got over the shock of seeing Ty on stage. And yes, the entire thing is made of canned goods! Disney said that it took volunteers 500 hours to build this wall with all the Disney characters peeking over the top. It may have taken 500 hours to build, but it was taken apart by the volunteer families in less than a few hours and packed in boxes to be shipped to charities across the United States. After the unveiling, the Disney Social Media Moms and our families explored Epcot. Epcot stands for Experimental Prototype Community of Tomorrow. We immediately went to ride "Soarin", a ride that makes you think you are flying above California. I don't know how Disney pulled off giving the impression that we were actually flying but they did and it was wonderful. We also visited Turtle Talk with Crush at the Seas with Nemo and Friends exhibit. Again I don't know how Crush was interacting with the kids and adults, but it was amazing to watch his movements and hear him answer the kids questions while making some great jokes along the way. After a few rides on the high speed Test Track ride, we were ready for dinner. For Dinner, Disney pulled out all the stops for the Give a Day, Get a Disney Day celebration. We had dinner under the stars and the dinner was attended by the volunteers from the 50 states, the Disney Media Moms, and the Disney Dream Academy. Disney told us there might be a few "surprises" along the way and they were not kidding. I noticed the stage during the dinner but did not really think about what kind of entertainment Disney might have in mind. But when Demi Lovato and Joe Jonas from "Camp Rock" came on stage to sing songs from the movie, I ran with my camera to take some photos. To end our day at Epcot, we stayed to watch the fireworks. They were unlike anything I have seen before. The theme was nature and a globe of the world was showcased that burned with fireworks and then glowed with nature scenes of rivers, horses, birds and other animals and the finale contained enough fireworks to turn the night sky white. My nine year old son took the photo below (the kid has talent). To say we enjoyed our second day of the Disney Media Moms Conference would be an understatement. After all this, I could not wait to see what day three would hold. So if you want to find out how Disney topped even today's events, check out my next post in the series "What I learned from MICKEY MOUSE (PART 5) Girl Power!". Can Twitter be used as a high powered marketing tool? I love Twitter. Plain and simple. When I first decided to use Twitter, I did not have a clue what I was doing or why I was even on it. But after a few days, I was hooked. I found out about things that I did not know. I met people from around the country. 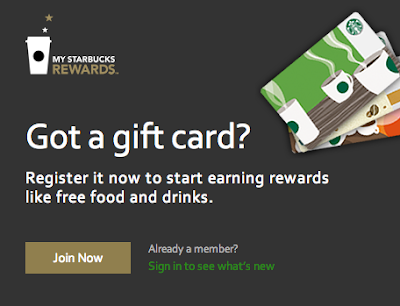 I started following my favorite companies and winning contests. And I found tons of FREE stuff that I did not know existed. Love. Yes, it was love alright - love of the access that Twitter brought me to a whole new world. So on day two of the Disney Social Media Moms Conference, we moms had the pleasure of going to breakfast at Disney's Epcot Center to get a lesson in how to use Twitter as a marketing tool from Guy Kawasaki. Guy is a venture capitalist, author, ex-Apple marketing guru, and co-founder of Alltop, a site that aggregates all the top stories from sites across the Internet. So for one hour we got to hear from one of the tech world’s best known bloggers about how he uses twitter to market himself and his businesses. 1. Twitter can be used to gage what people are saying about you. Just put in your name and you have immediate access to if people are liking, loving, hating, or ignoring you today. 2. Twitter can be used to connect with people, provide technical support, or sell products. 3. Guy used @DellOutlet as a great example of Dell using Twitter to get rid of excess inventory. @DellOutlet has 1.5 million followers and Dell can send out one tweet and items have the potential of selling immediately. 4. Guy used @Kogibbq as another example of using Twitter to sell. @Kogibbq is a small street vendor that sends out tweets to tell followers where their trucks will be. After sending out a tweet, this small street vendor will have 50-100 people waiting for them when they arrive to buy their products. Sweet! 5. Guy used @ComcastCares as an example of Comcast using Twitter to improve their customer service. @ComcastCares searches Twitter for mentions of the Comcast name and makes contact with customers when they tweet about problems with their Comcast service. 6. Guy stated that the real power of Twitter to sell is in its advance search features (http://search.twitter.com/advanced). If you are looking for a product, you can use the NEAR and ZIPCODE features to find that product near your home or business. I did not know that these advance features existed in Twitter. I will definitely be using them from now on. 7. Guy uses Twitterhawk and Twitterfeed to automate his Twitter marketing process. Twitterhawk.com will periodically search twitter for you and either auto-reply or generate a list of matches. Twitterfeed.com will automate the sending of tweets. Guy retweets his blog posts four times per day for maximum clicks. These tools automate the process for him. I also retweet my posts on FREEISMYLIFE mutiiple times per day on Twitter. It is nice to know that there are tools that can automate the process. 8. Guy uses Objectivemarker.com as a central campaign management tool for social marketing. Guy is financially connected to this website. He told us we can use the code WISEGUY to get 3 months of this service for free - Now you know I like the word FREE! 9. 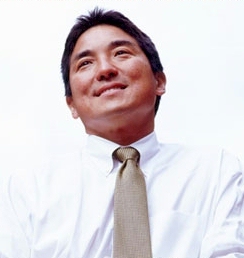 If you are a mom blogger, you can send Guy a tweet at @GuyKawasaki and he will add your blog to his Alltop list for moms: http://moms.alltop.com/ I already sent Guy my tweet to get FREEISMYLIFE added to this list. After all, who among us does not want more readers for our blogs? There is still lots more to tell about this exciting conference. So stay tuned for my next blog post in this series "What I learned from MICKEY MOUSE (PART 4): It Pays to Volunteer". Movie Review: "From Paris With Love"
Hey Kid - Want a Job with the Detroit Pistons? Coupon Mom to the Rescue!